This is sure to become your favorite mug if you are a nature lover and movie buff! 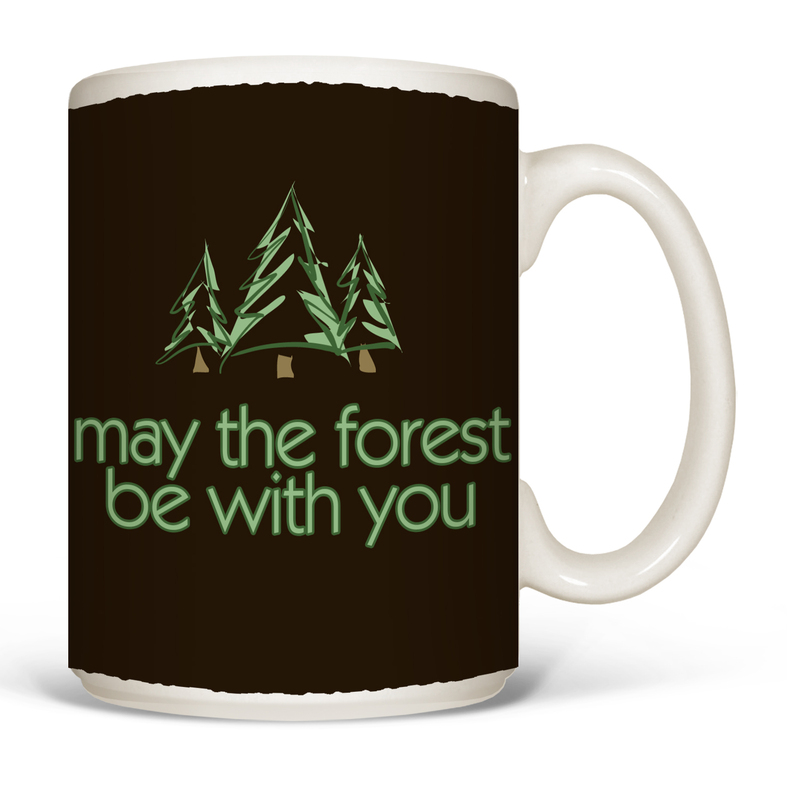 'May the Forest Be With You' is cheeky and fun, and will make you smile over your cup of coffee each morning. Ceramic, standard size.